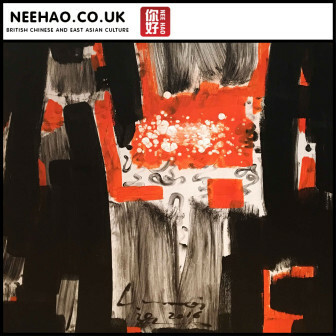 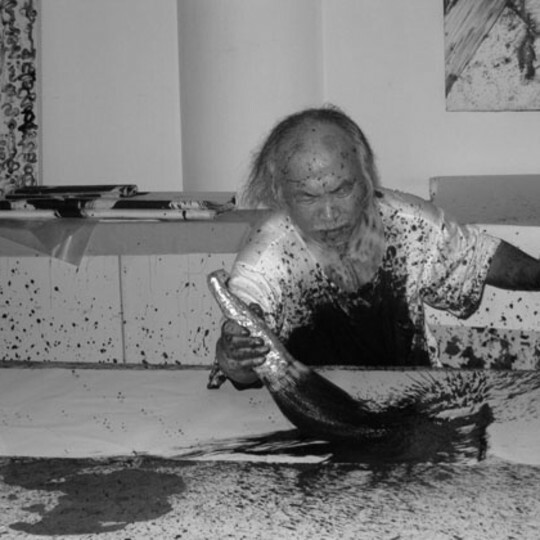 TSAI YuLung (TSAI YuLong) is a Shanghai-based artist best known for his calligraphy painting. 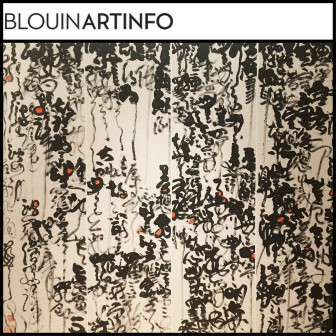 Born in Budai, Chiayi, Taiwan in 1952, Tsai studied Western Drawing at the National Taiwan University of Arts, graduating in 1981. 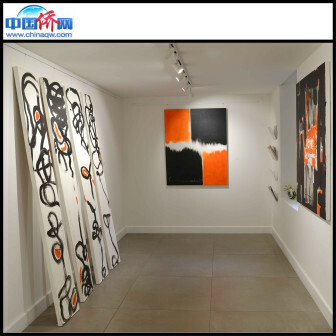 At this time, Tsai’s practice was focused on the study of the fusion of Chinese and Western art. 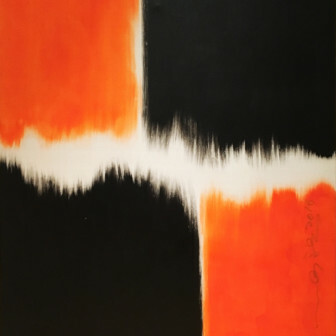 A turning point towards developing his current style occurred in 1992. 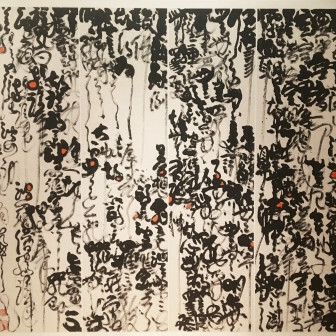 Finding himself at ‘the lowest point in his life’, Tsai embraced the Buddhist tradition of practicing calligraphy as a way of meditating. 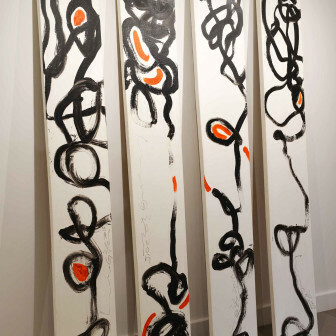 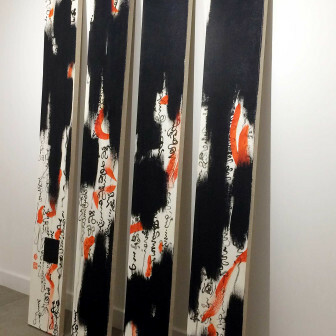 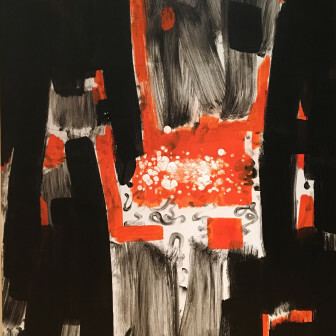 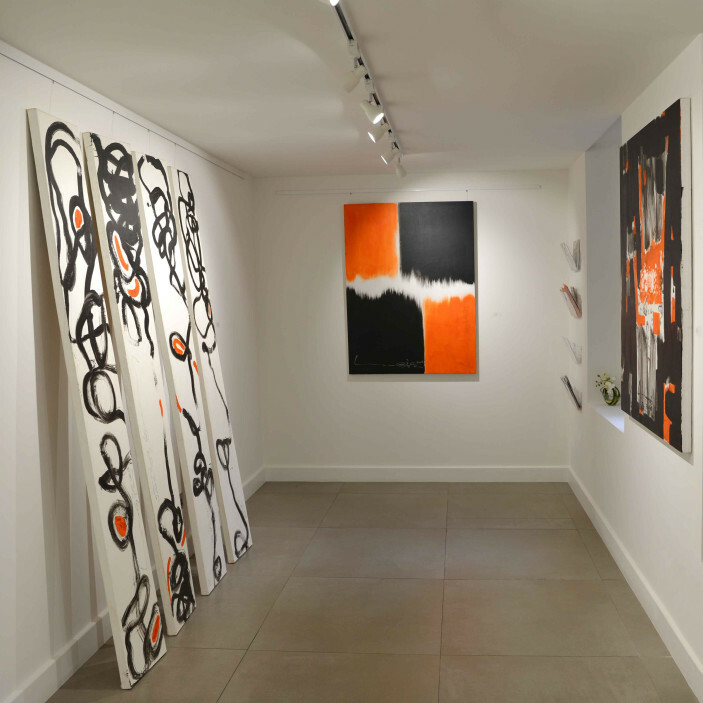 He eventually found new inspiration in the spiral of a loofah plant and began incorporating calligraphy elements into his abstract painting, ultimately achieving his own style of contemporary calligraphy painting.